A fun and frivolous emergency post as the strains of moving house have wormed their way into my brain and I can’t get it together to write something proper! 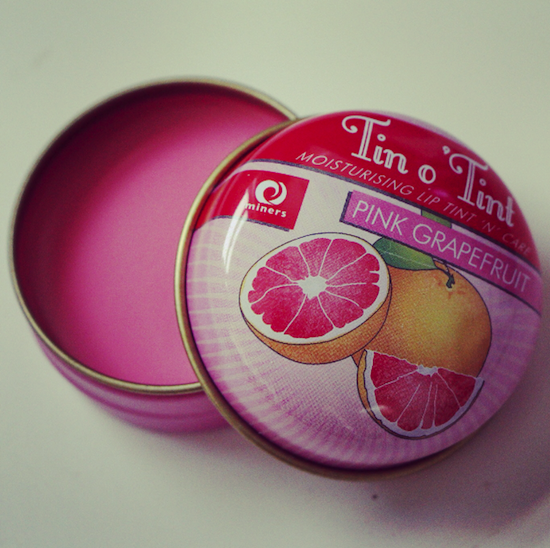 This “Tin o’ Tint” looks like something you’d win at a fairground, doesn’t it? Or find in one of those chemist’s shops that’s stuck in the eighties – garish colours, old-school fonts and the type of illustrations that you find on the wrappers of French bon-bons. Previous Post The Perfect Pot of Autumn Colour! Next Post Found Whilst Packing Up: Rose with a Difference!